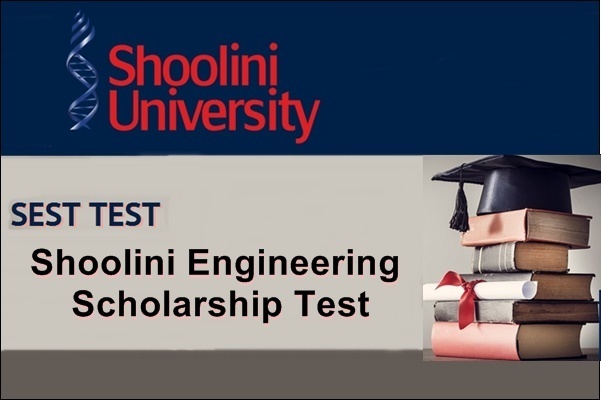 Shoolini University offers Scholarship for Engineering aspiring students through SEST Shoolini Engineering Scholarship Test. Shoolini University of Biotechnology and Management Sciences is a research-driven private university that recognized for its focus on innovation, quality placements and world-class faculty. One of the top 5 patent filers in the country, we are ranked 10th among all private universities located in North India. The university was set up in 2009 and has full-recognition from the UGC. Students who passed 12th and aspiring for Engineering career can also apply. The Summit Research Program Students are not eligible for this scholarship. To apply for SEST Test, Follow the steps mentioned below. Step-1 : Visit the official website of ‘Shoolini University’ through URL http://shooliniuniversity.com/. Step-2 : Then go to the ‘SEST’ link available at the Home Page. Step-3 : Click on the ‘Apply Now’ (http://shooliniuniversity.com/sest.php) link. You should write your correct permanent and functional Alternate and Mobile numbers as well as any other alternative telephone number to enable us to instantly inform you about any important matter regarding the test. Please do not change your numbers till your final result is declared. You must upload your latest and clear photograph as proof of your identity in the application form. The photo must either be in (JPG, JPEG,PNG, PDF) format & it should be of a passport-size and its memory size should not be more than 100 KB. Please keep the scanned copy of your photo ready before you start the registration process. Admit Cards will be sent only by e-mail. You will also be able to download your Admit Card from our website .